I was interested in trying Dairy Queen's poutine, but every time I was here for brutal winter and the closest branch was closed during winter. Today, I finally found it open and went in to order one. However, this branch didn't have any savory foods but only ice creams, and Lafleur, a fast food chain, is also in a same facility and had poutines, so I compromised and got the poutine from Lafleur. 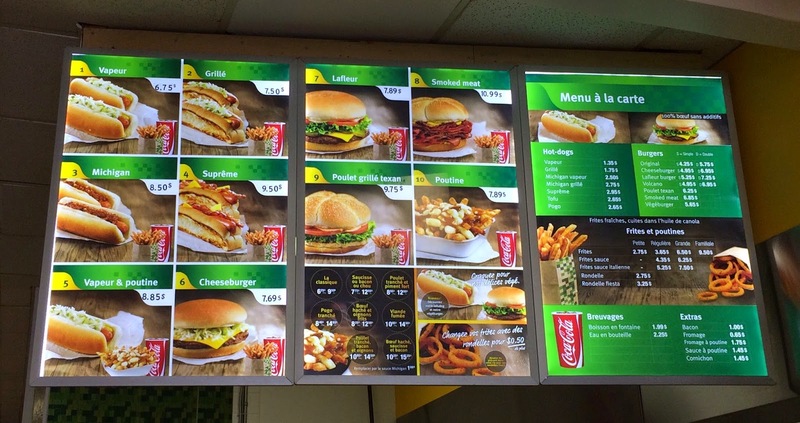 I got #10, poutine and a drink set. 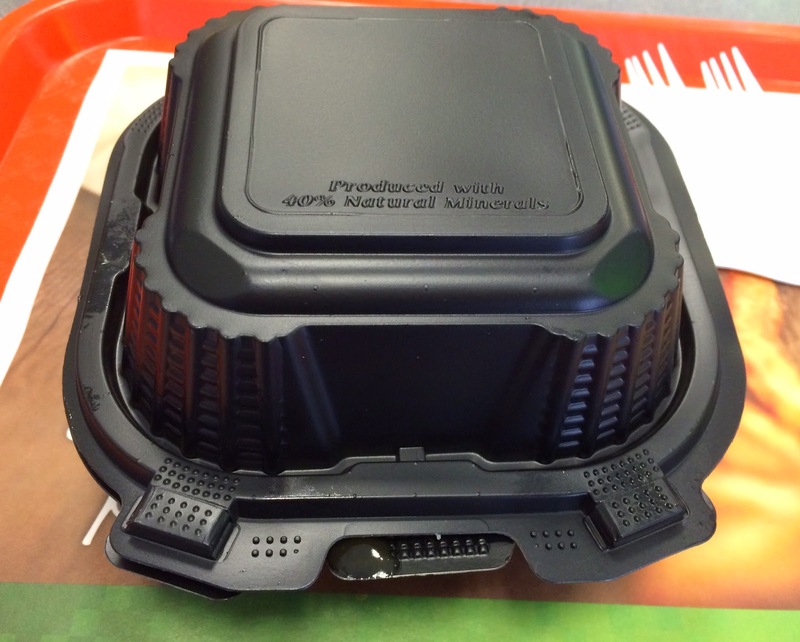 It's served in a black container. 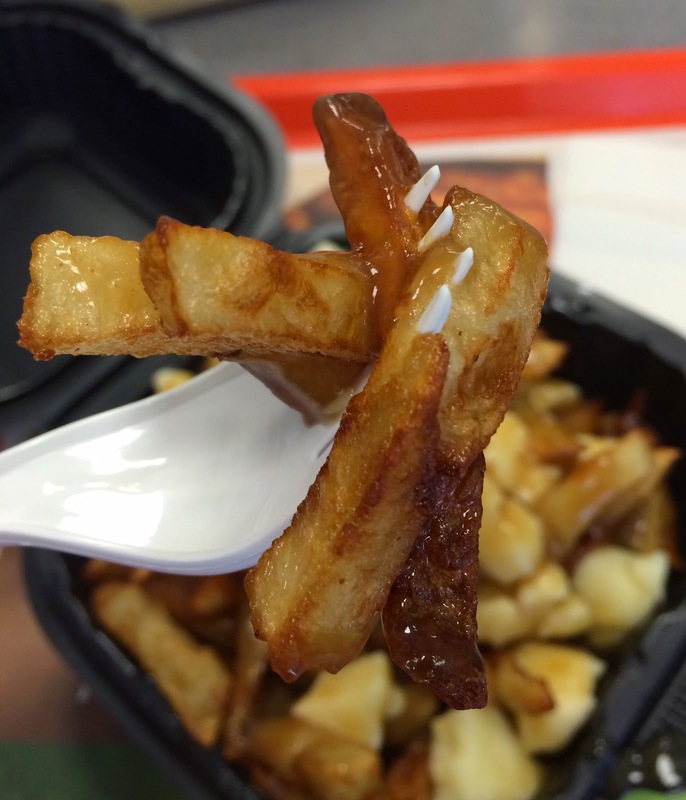 The quantity was average and there're enough cheese curds and gravy sauce for the mount of fries. 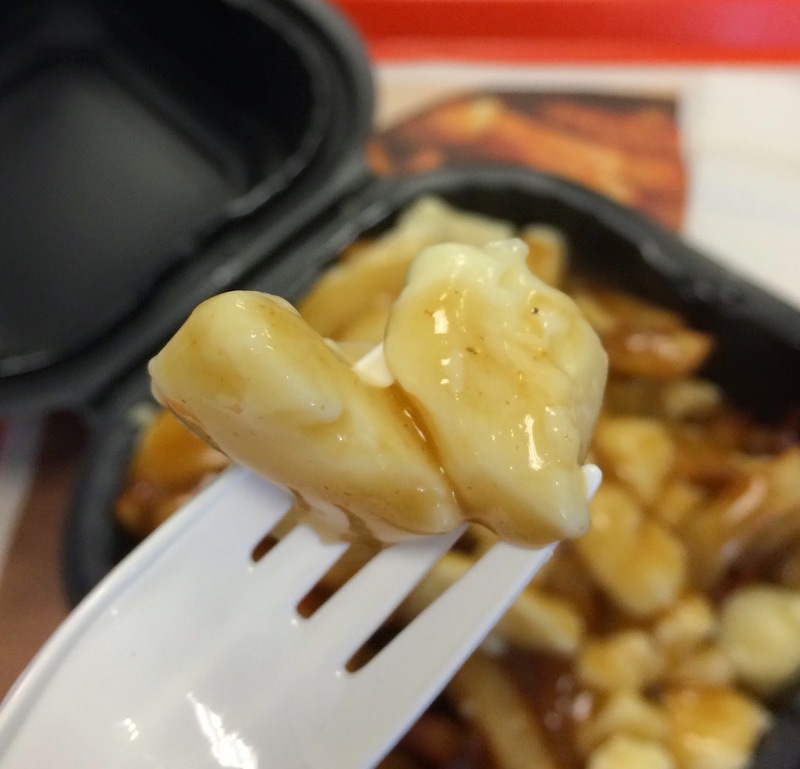 The cheese curds were squeaky, which was very nice. Though, the fries had no flavor or no salt, and they're just soggy fries. 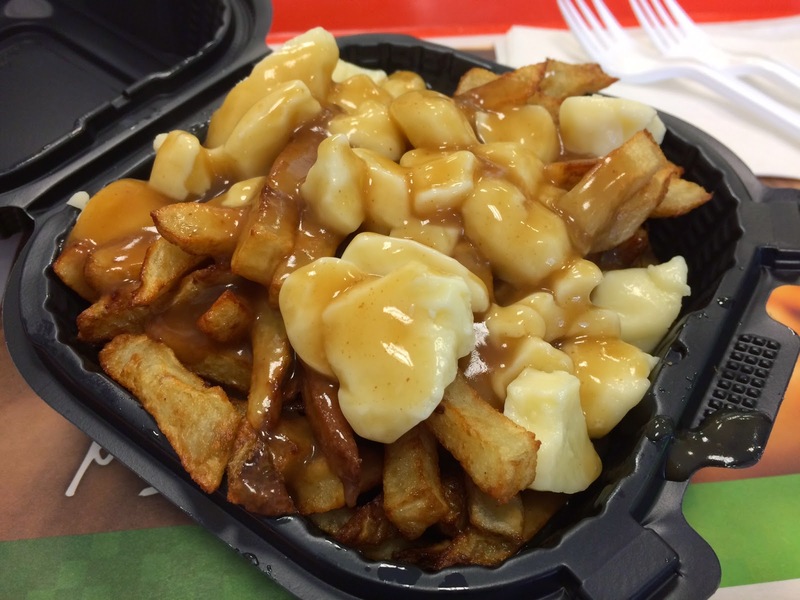 Not only have I failed to get Dairy Queen's poutine, but also this poutine was one of the worst ones I had so far.